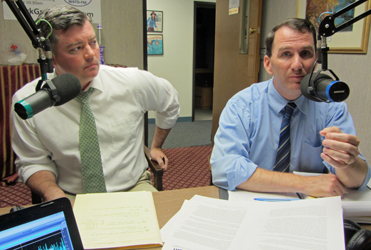 Monday Night Talk host Kevin Tocci and Joe Rossi do an extended version of the State House Report with State Rep Jim Cantwell. The State Rep was accompanied in studio by Marshfield Selectman Matt McDonough to talk about the recent meetings regarding the FEMA flood maps and the proposed increase in flood insurance rates. Residents have been given a 90 day comment period after the federal government took nearly four years to design the new map.